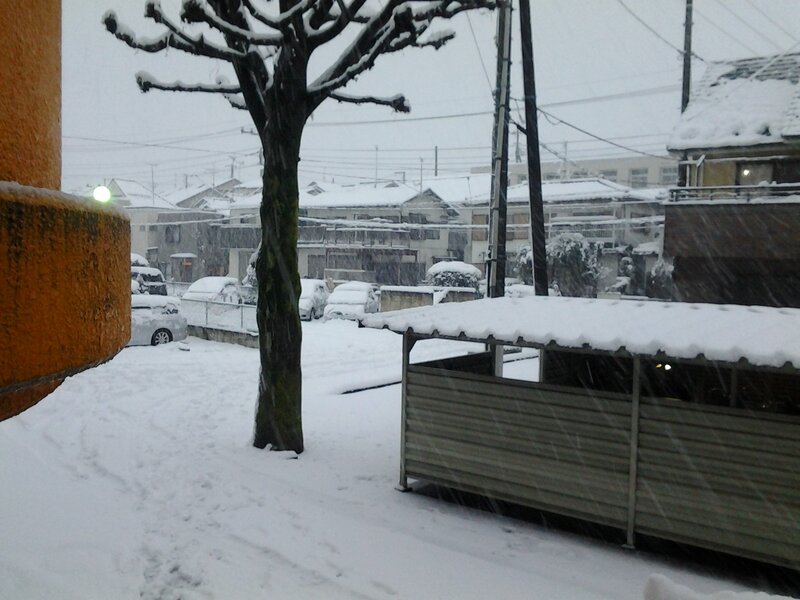 One of the things the English teachers in Niigata discovered their first December in Japan is that it’s awesome. They arrive during Hell and enjoy the temporary relief of Awesome, but then discover why their new home is nicknamed “Snow Country” when they sky turns grey and falls for days, and even throws in some lightning and thunder. By the time December arrives, they been through one phase of culture shock, are in a second, and are desperate to get home to see loved ones or desperate to get to Thailand to, well, yeah. On the way, the one’s heading home, arrive in Tokyo and discover it is bright and sunny and relatively warm. Tokyo suddenly becomes their favorite place to visit in the world during the season of Static. This winter, thanks to the recent El Niño, has been an extension of Awesome. In fact, until last weekend, it had been light Jacket weather–note: my colleague from Hawaii strongly disagrees with that description. Normally it’s cold, but sunny with a rich blue sky. Then suddenly, in January, it isn’t. Today, especially, it wasn’t. Last night it started raining and when we woke up, we found four inches (10 cm) of snow on the ground. The news reports also had lists of trains that had been delayed and the one I take was on it. The train problems occurred farther up the line in the foothills and mountains but several train lines in the flatland were also having trouble. That sent me to the computer to discover that the start of classes had already been delayed an hour at the school where I work. Our youngest’s school had been delayed two hours but our oldest’s was still on schedule. (Being a teen she, of course, went to school with no winter coat or muffler.) Then, after more updates, my train line was shut down completely. I ended up working at home–although the reasons for this are complicated–as I used the opportunity to do some re-planning and lesson planning. This entry was posted in Japan, Random, Work on January 18, 2016 by DELively.